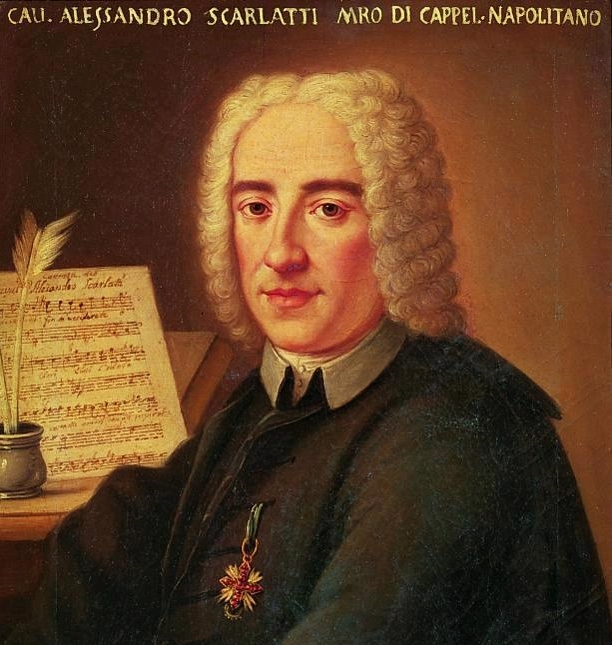 Sicilian-born in 1660, Alessandro Scarlatti was trained in Rome. He married in 1678 and later that year was appointed Maestro di Cappella of San Giacomo degli Incurabili. His first large-scale oratorio-operatic works were performed there the following year when he was only 19. His patrons from the outset were of the highest rank, among them the exiled Queen Christina of Sweden who made him her Maestro di Cappella, Cardinal Pamphili, and the musically indefatigable Cardinal Ottoboni and, in Florence, Prince Ferdinando de Medici. In 1684 at the age of 24 Scarlatti moved to Naples, where he was appointed Maestro di Cappella at the vice-regal court of Naples, at the same time as his brother Francesco was made First Violinist. It was alleged that they owed their appointments to the intrigues of one of their sisters with two court officials, who were dismissed. For the next two decades over half the new operas given at Naples were by Scarlatti, producing over 40 works, which were first performed at the Viceregal Palazzo Reale and then at the public theatre of S. Bartolomeo, where Scarlatti was employed as the director along with nine singers, five instrumentalists and a copyist. In contrast to contemporary five-act Venetian operas, which continued to rely upon mythological characters and stage machinery, Scarlatti's shorter three-act 'Drammi per Musica' centered on the characterization of kings and confidants, lovers and servants. Il Pirro e Demetrio (1694) and La caduta de' Decemviri (1697) were particularly successful. From 1695 his operas and 'musical dramas' incorporated three-movement sinfonias which soon became standard for all Italian operas. Indeed, the Italian opera overture, or sinfonia, contained most of the elements of the pre-classical and classical symphonies, and the symphony (or sinfonia), designed for concert performance, may be traced back to the Italian opera overture (or sinfonia) of Alessandro Scarlatti. It was in these overtures and last operas that he also began experimenting with orchestral (instrumental) color in the modern sense. While resident in Naples Scarlatti occasionally returned to Rome to supervise carnival performances of new operas, contributions to pasticci and cantatas at the Palazzo Doria Pamphili and the Villa Medicea (at nearby Pratolino), as well as oratorios at Ss. Crocifisso, the Palazzo Apostolico and the Collegio Clementino. Astonishingly, he also produced at least ten serenatas, nine oratorios and sixty-five cantatas for Naples. By 1700 the War of the Spanish Succession was beginning to undermine the privileged status of the Neapolitan nobility, rendering Scarlatti's position insecure. In 1702 he left with his family for Florence, where he hoped to find employment for himself and his son Domenico with Prince Ferdinando de' Medici. When these hopes failed, he moved back to Rome at the end of 1703, seeking a quieter life, as assistant Maestro di Cappella at S Maria Maggiore (the public theaters had been closed by papal decree since 1700, so operas were performed only occasionally and in private). In this capacity he was required to compose motets and Masses in both strict (Papal) and concertato styles, according to the occasion. To augment his income he renewed his connections with the cardinals and formed new ones with Marquis Ruspoli, concentrating now on oratorios, celebratory serenatas and cantatas. In 1706 he was elected, along with Pasquini and Corelli, to the Accademia dell'Arcadia, where he must have met Handel in 1707. From 1702 until 1708 he sent Prince Ferdinando de' Medici quantities of oratorios and church music and four operas which the prince had performed at Siena, Livorno and Florence. Scarlatti also composed and directed two five-act tragedies for the 1707 Venetian Carnival. Upon his return to Rome he was made Maestro di Cappella at S. Maria Maggiore, but the salary was so meager that he was ultimately forced to return to his posts in Naples in 1709. During the next decade he produced 11 operas employing greater instrumental resources, of which Il Tigrane (1715) was his Neapolitan masterpiece. His 'commedia in musica', Il trionfo dell'onore (1718), was also very successful. He maintained his connections in Rome, returning there in 1718 to oversee his opera Telemaco at the Teatro Capranica, in 1719 Marco Attilio Regolo, and finally in 1721 for La Griselda (his last opera). He produced a lavish Messa di S Cecilia for soloists, chorus and strings, performed there in October 1720. Meanwhile Scarlatti ventured into orchestral writing, expanding the Sinfonia concept with his twelve Sinfonie di concerto grosso. 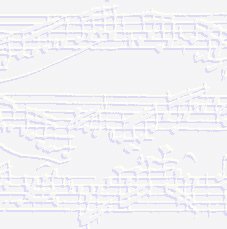 The "Six Concertos in seven parts for two Violins and Violoncello Obligate with two Violins more a Tenor and Thorough Bass, Compos'd by Sigr Alexander Scarlatti", as they were first called, were published in London under the above title by Benjamin Cooke in 1740. Of these six Concerti, numbers 1, 2, 4, and 5 were composed so that they could also be performed as string quartets. Scarlatti called them specifically Sonate a quattro, and as such they represent some of the earliest forms of chamber music in this genre. The fact that these Six Concertos were published some fifteen years after the composer's death was quite unusual for that time; it may be suggested that Benjamin Cooke was "cashing in" on the popularity of the Scarlatti name. Thomas Roseingrave had published in London the first edition of Alessandro's son Domenico's Essercizzi per gravicembalo a couple of years before, and Domenico's work was also being popularized in London by Thomas Kelway and Thomas Arne. That Domenico's popularity continued is witnessed by the publication in 1743 by Charles Avison of his twelve Concerto Grosso arrangements of Domenico's harpsichord sonatas. "I heard Scarlatti play on the harpsichord, which he knew how to play in a learned style although he did not possess as much finesse as his son. After this he accompanied me in a solo. I had the good fortune to win his favor, in fact so much so that he composed a few flute solos for me." This comment would almost prove to be an epitaph, for Alessandro Scarlatti died on October 24, 1725.